Are there certain personality traits that make a better leader? Earlier research studied the personality traits that contributed to effective leadership. Ultimately this research came up empty handed. The data was simply too contradictory to lead to any firm conclusions about what kinds of personality traits make for a better leader. What does seem important, however, is the fit between leadership style and the nature of the task. Different kinds of leadership are necessary in different situations. 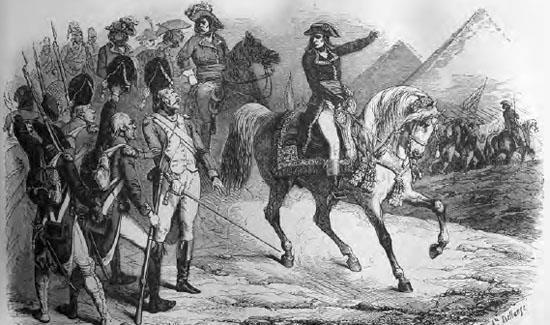 Napoleon leads his troops in Egypt. Research is not clear about what qualities make a good leader, though charismatic leaders can be effective in times of turmoil (iStock).